Parents often compare their children with other kids. They taunt their kids or punish them if they don’t perform well in the school exams. It’s not the fault of the kid. The poor show from the kid is the result of the parents or tutors. Did you teach your toddler to speak English or any other language? The answer is no. Kids have a sharp memory. They learn to speak, understand objects automatically while growing up. No one teaches them to speak. Some kids are given the right training right from the word go. Smart parents engage their kids in different fun activities like coloring sketches of animals, objects, matching alphabets, numbers, etc. Hence, they excel in studies and other activities. If you want to boost your toddler’s memory and improve his/her problem-solving skill, download the following apps and make your kid use them. 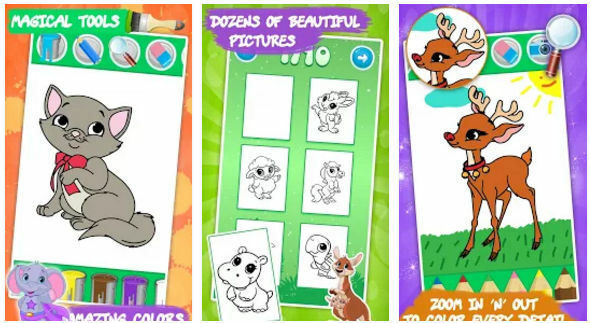 These applications will help your kid learn alphabets, numbers, distinguish colors, animals, objects in an interactive way. 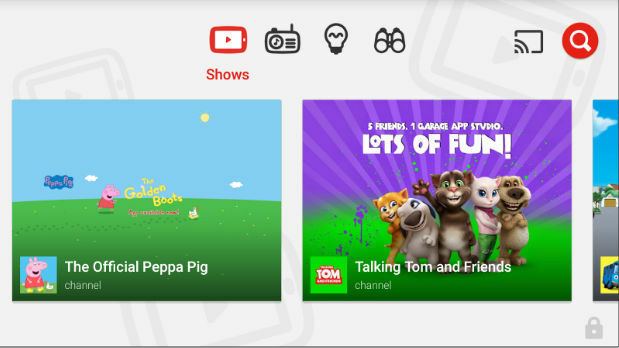 Google had launched a special app called YouTube Kids in 2013. The app doesn’t have disturbing content which may scare kids or teach them bad things. It has a great interface and a beautiful icon. When toddlers run the app, YK will switch to landscape mode. Then, the app will load video thumbnails. When the toddler taps a thumbnail, YouTube Kids app will start playing the video. 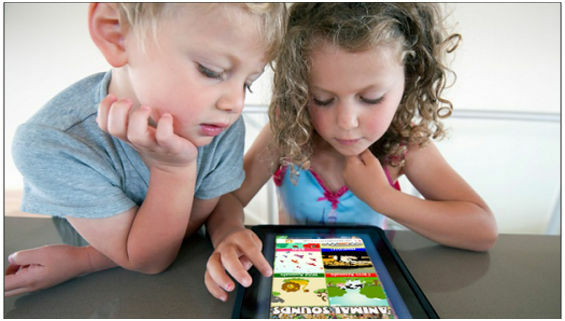 The app enables children to watch educational videos. The videos will teach kids to recognize numbers, alphabets, objects, vehicles, etc. The application allows toddlers aged within 2 to 5 years watch popular animated shows, videos of short stories, rhymes, etc. YouTube app for toddlers displays advertisements. It has a settings interface where you can control what content your kid should watch. 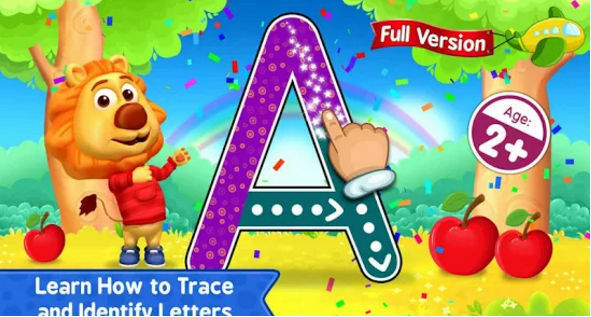 ABC Kids is a great app that teaches your kids to trace letters. It also helps your toddlers learn to write small, capital alphabets and numbers. When your kid runs this app, he/she will see a cute animation of a train with four bogeys. When the kid taps on a bogey, the app will load a list of letters or numbers. The toddler must select a character he/she wants to learn. Once the character is selected, the app will display the letter. The kid must place his/her finger on the screen and trace the letter. Teaching, visible, and play modes. ABC for toddlers is an effective app. It has a reports section where you can see the progress of your kid. If your kid uses it regularly, he’ll score 100/100 in writing tests conducted at the pre-school. This free application improves the kid’s ability to identify colors. It also enhances their drawing skill. It features sketches of cartoons and animals. Your kid has to select a sketch. Then, he/she must use the paint bucket tool to fill the sketch with colors. The app provides a pencil tool with which the toddler can draw over the sketch. It includes zoom, eraser tool and option to remove the modifications. It also includes a blank canvas and 50+ sketches. KD is a small app that allows toddlers to explore their creative side. It provides a canvas interface where kids must draw objects, scribble letters or numbers they’ve recently learned, etc. The canvas is nothing but a digital board. 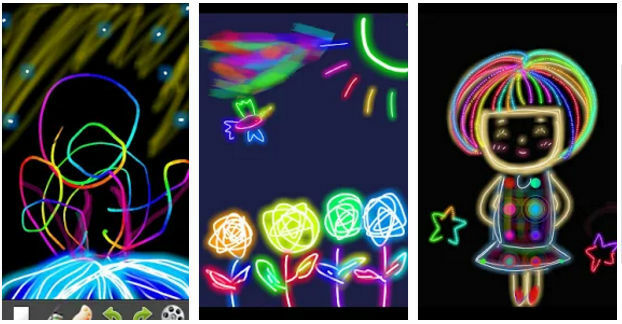 The Kids Doodle app lets toddlers paint with neon colors. It has a function to undo/redo the last activity and an eraser utility to remove modifications. It offers 10+ unique brushes. The KD app allows kids to save their work. When your mobile device is connected to the internet, the app will display advertisements. Believe it or not guys, kids enjoy listening to the sounds of animals and sounds. If your child is crying or unwell, download this app and play the audio files. The app features a simple interface. Along with sounds of various animals, this application provides high-definition wallpapers of various animals. The images are displayed in a grid interface. When the toddler taps on the picture, the app will play sound linked with it. Conclusion: The above apps will not only keep your naughty toddler busy but will also make him/her smarter. Don’t worry! Kids can easily use a smartphone and get used to its touch gestures. To make sure that your child doesn’t open Google Play Store or any other app apart from the ones mentioned above, use Android app lockers.